Boss Hakan Samuelsson says electric vehicles will be as lucrative as gas guzzlers by 2025. Taken at face value, that’s optimistic, given Tesla, BYD and Nio struggle to break even. It’s also a warning: making traditional engines ever cleaner and more efficient is driving up costs. A new Volvo Electric C30 car is displayed at the Beijing Auto Show in Beijing April 23, 2010. China overtook the United States as the world's biggest auto market in terms of number of vehicles sold in 2009, helped by Beijing's incentives. 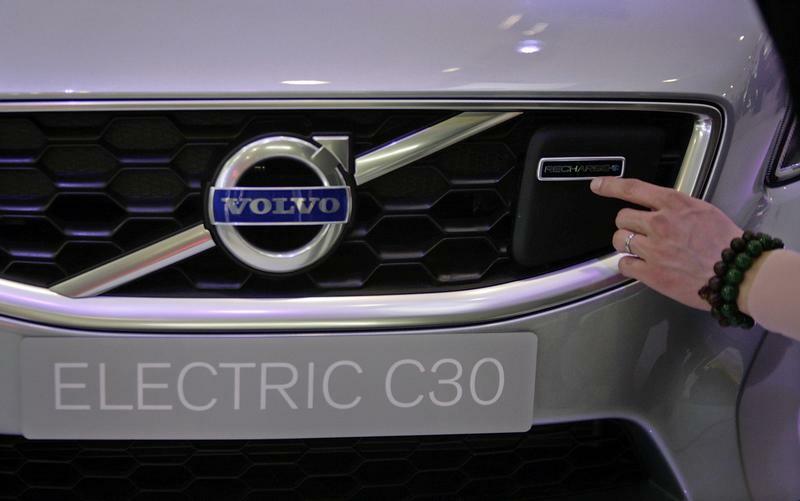 Volvo Cars expects its margins on electric cars to match those of vehicles with combustion engines by 2025, according to Chief Executive Hakan Samuelsson, Reuters reported on March 21. Samuelsson cited both falling costs for electric car components and declining margins on conventional cars. Volvo is investing about 5 percent of its annual revenue, equating to a little more than $1 billion a year, in building driverless and electric cars, and has promised to deliver five fully electric cars to market in the next few years. On March 27, Chinese carmaker BYD reported 2018 net profit fell by almost a third year-on-year to $2.8 billion yuan ($416 million). Its net profit margin shrank to 2.3 percent, compared with 4 percent a year earlier, the filings showed.